Mexican for stainless steel is acero inoxidable, which is a misnomer. Stainless steel oxidizes less, but it still oxides, and it stains everything around it with it’s oxide leavings and seeps. So we decided to find out how fancy yachts maintain their fancy. Assemble materials and find something rusty. Bar Keepers Friend is oxalic acid in soft-scrub, more or less. FSR is oxalic acid in alcohol gel, more or less. You can also buy straight oxalic acid, which is worth a try, although a gel is easier to deal with than a liquid. Start with the BKF, mostly because it’s cheaper. You don’t need to scrub very hard, just get through the salt and fish guts and whatever other film has accumulated. It’s pretty satisfying, because it’s foamy. If you spread it with a rag, it works mostly as well (if you get in the crevices), but it doesn’t foam. Leave it to work for a while – 15 to 20 minutes. The bottle says one minute. The bottle also says to wear gloves. Rinse. This is actually the hard part. Rinsing won’t work. You’ll have to do it again. You’re probably done at this point. If you really want to make it perfect, use the FSR and do the same process. You can leave this on for quite a while. Again, rinsing won’t work, but do it anyway. Maybe the film washes off later. Dunno. Before and after and after. 80/20 rule results are pretty clear. 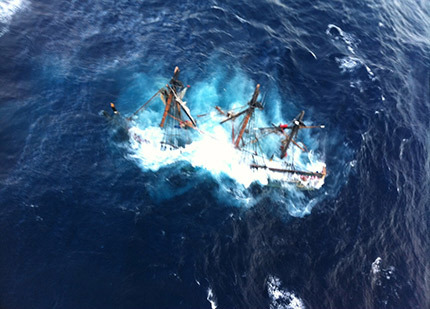 It’s clear to me that the Bounty sinking, as with most marine disasters, started with the Captain putting his ego ahead of the capabilities of his ship and his crew. It’s easy to second-guess knowing what we know now, but as Captains we must constantly evaluate crew and boat safety against schedule and travel considerations. It’s important that we learn from others and ruthlessly apply what we learn to our own decisions. Schedules are especially dangerous for the small boat, making it more likely that we sail in poor weather or defer maintenance to meet obligations. But a secondary cause of the sinking is one Nancy and I have taken very seriously for many years. The bilge pumps on the Bounty clogged with both accumulated debris and with construction debris from their recent refit. 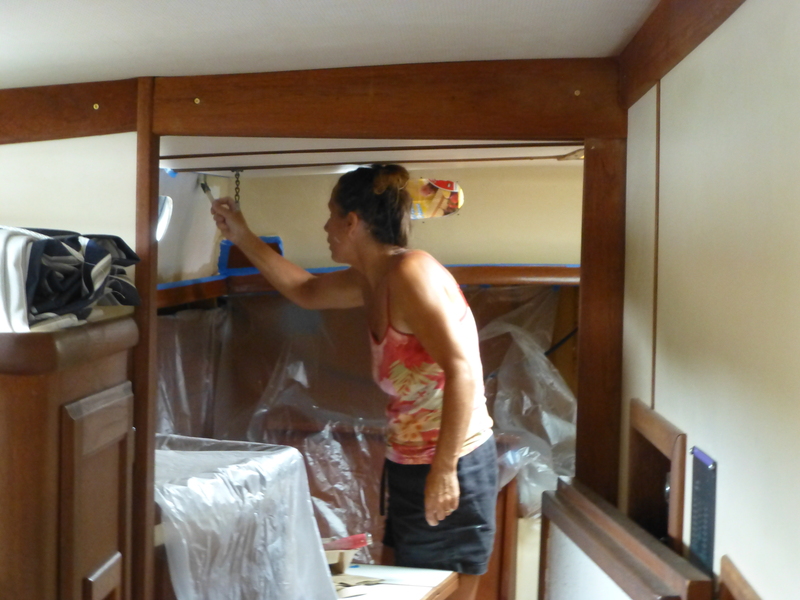 It is vital to keep the bilge clean. 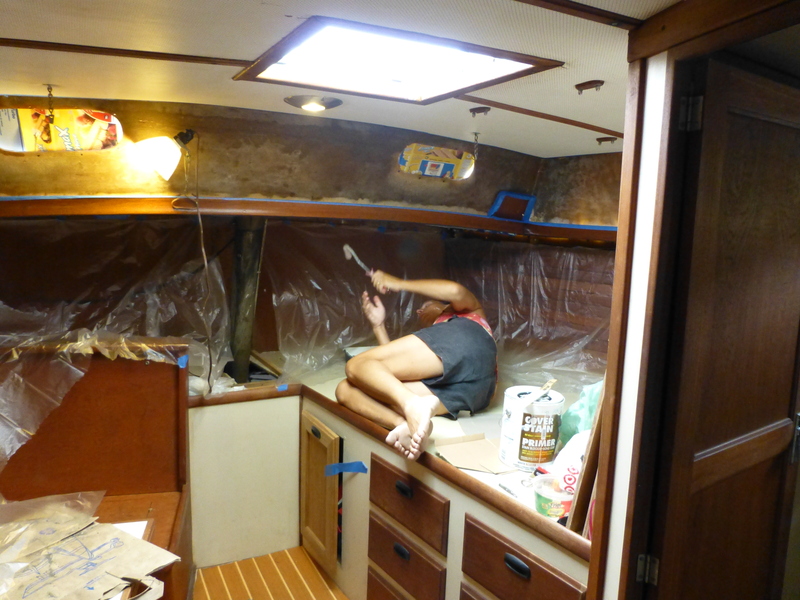 On earlier boats we fought a constant battle to keep dog hair out of the bilge. Usually we vacuumed the boat after every trip. We won’t let dogs on Bright Water. Bright Water had one bilge from stem to stern. Everything drained into a single sump in the engine room. 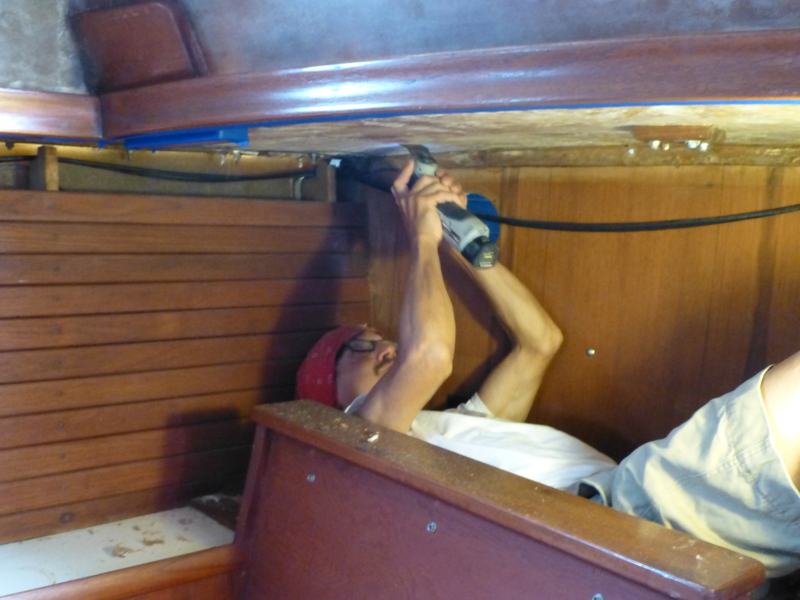 We blocked off the anchor locker and provided separate drains to keep mud and chain muck out of the boat, then we spent several days clearing the bilge of all material (including cutting holes in the structure to get a clear view of the limber holes and drain path.) 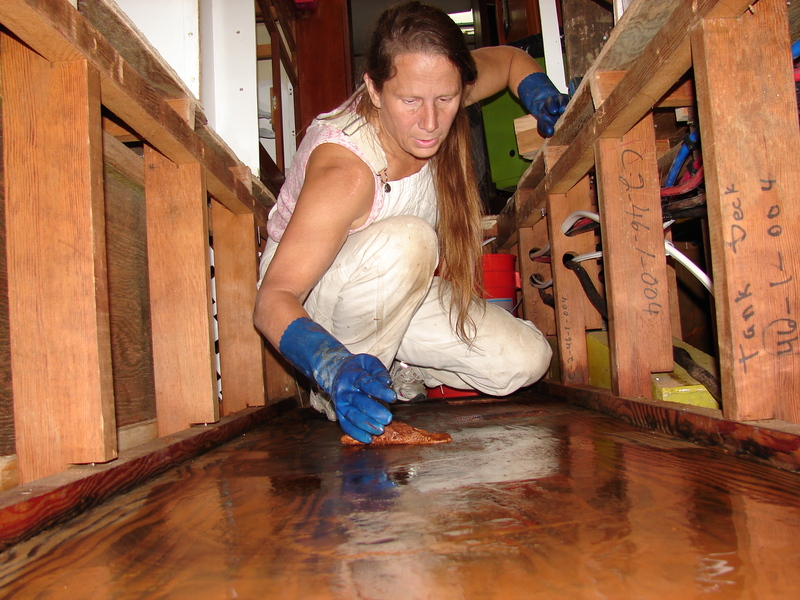 The bilges under the tanks were full of hair and oil and slime and forty years of mess. They would have been difficult to clean if we hadn’t pulled the tanks. 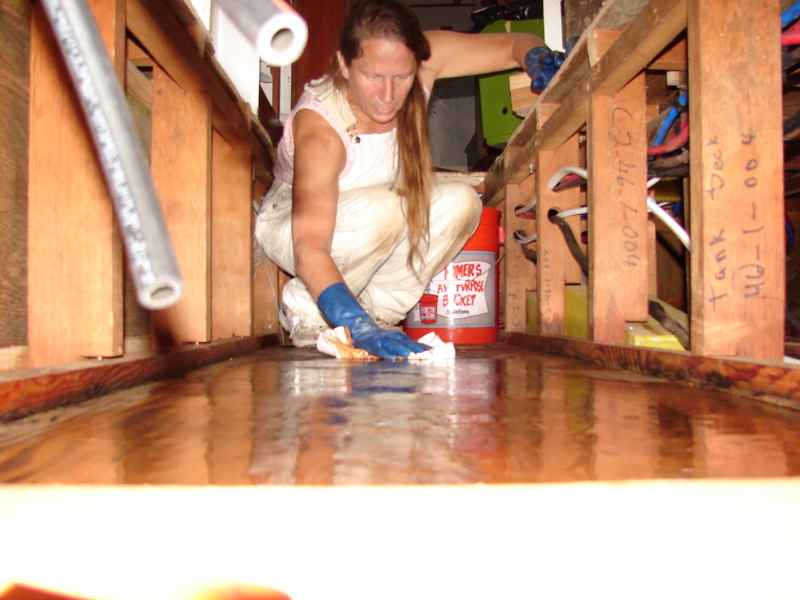 We inspect the bilges monthly, as much as we can, but most of the bilge is again hidden under the tanks, so our best defense is to keep the hair, lint, sand and debris cleaned up before it can find its way to the bilge. Almost ready to put in the new tanks. I still need to pull several CAT5 cables through the central wire gallery, and maybe some more extra conductors just because. 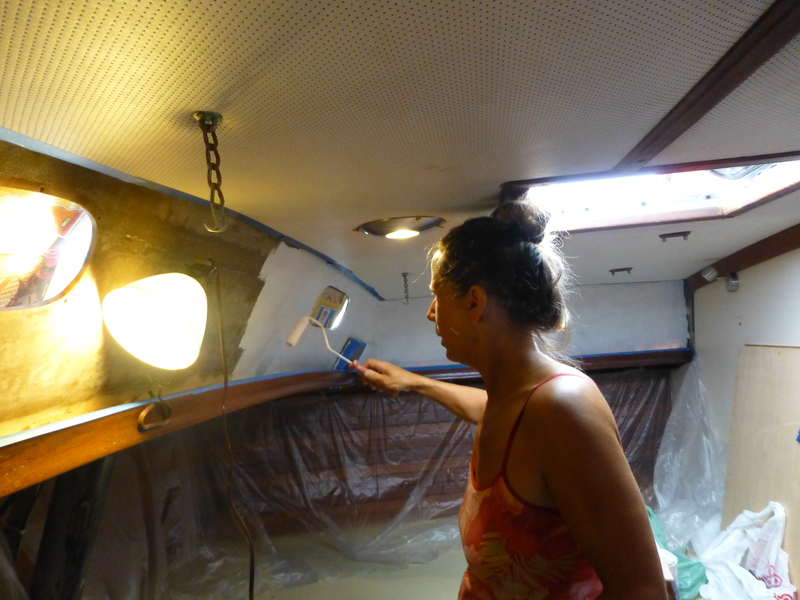 Nancy took another shot at the diesel-saturated plywood on the tank deck. We cleaned this stuff as much as we could seven weeks ago when we first removed the corroded and leaking tanks, but diesel has continued to ooze from the plywood to the surface. After an hour scrubbing with real TSP, there was still an oil sheen on the top of the cleaning water. We’ve cleaned enough fuel that the boat hasn’t smelled like fuel for many, many weeks. The saturated plywood deck will continue to release diesel for many years, but we’re using the refrigeration system to ventilate the compartment and the fumes will evaporate and dissipate. Hopefully the new aluminum tanks will go in next week. By the way, Nancy has her left hand on the saloon floor (the camera is facing forward). Everything you see is under the finished floor. 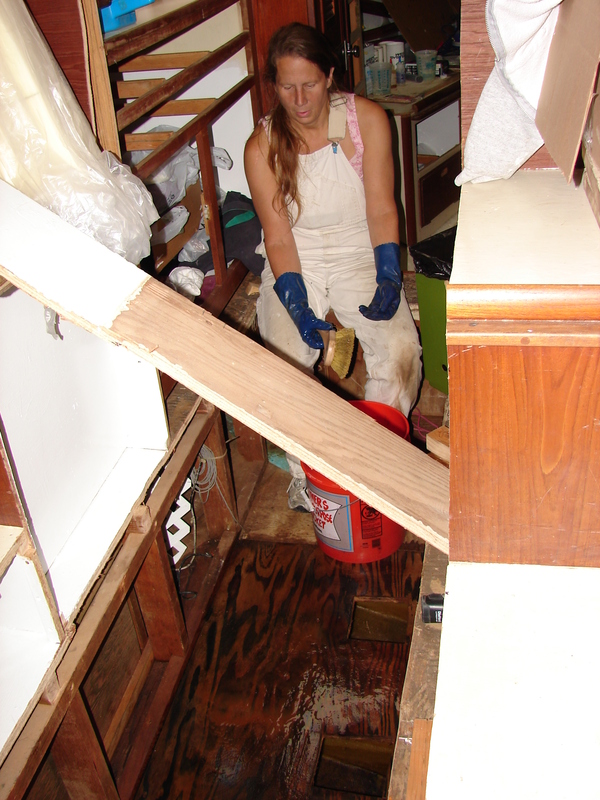 The port water tank is behind the plywood support to the left of the picture (outboard), and you can see the wiring, plumbing, and propane tubing down the central plumbing chase under her left hand. That yellow/green thing by her left knee is the mast step – it spreads the immense compressive load of the mast into four adjacent frames. The mast will go in just forward of her left elbow. Those bulges in Nancy’s arms are why you don’t mess with Nancy.